Intel's Itanium has an uncertain future, but Hewlett Packard Enterprise is committed to an upcoming chip, code-named Kittson, that is the next step in the venerable chip line. This could be good news for users who count on running apps on the chip family for some time to come. HPE will offer Kittson in new Integrity and Superdome servers, said Jeff Kyle, director of product management for enterprise servers at HPE. HPE didn't provide a specific release date for the servers. Itanium servers are on HPE's roadmap until 2025, Kyle said. The commitment could erase doubt surrounding the chip's eventual release, details of which Intel declined to provide. 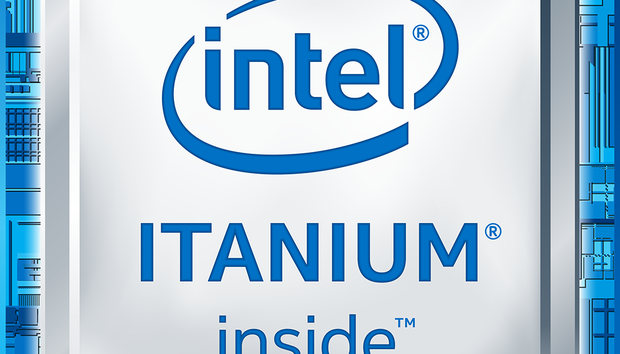 The Kittson chip is overdue -- new Itanium chips are typically released every three years, and the last chip, code-named Poulson, started shipping in the fourth quarter of 2012. Support for Itanium has been dwindling quickly, with HPE being one of the few companies offering servers with that chip. HPE's Itanium servers run HP-UX, OpenVMS or Linux operating systems. HPE has been trying to convert its Itanium customers over to servers with x86 chips like Xeon, which are in a majority of servers now. The Xeon servers are being positioned as superior high-performance alternatives that can run Windows and Linux, with support for the latest memory and storage technologies. But some HPE customers running HP-UX in critical infrastructure will stick to the stable and fault-tolerant Itanium servers, Kyle said. "For the workloads and customers running Itanium, it's not about what's new and shiny," Kyle said. Itanium is in "maintenance" mode, and will ultimately be replaced by x86, said Jim McGregor, principal analyst at Tirias Research. Intel and HPE perhaps want to discontinue the chip as it's a drag on resources for both companies, but contractual commitments may be preventing that, McGregor said. The Kittson chip may not even be available for purchase, but rather ship as a custom product directly to HPE, he said. Itanium servers typically have a lifecycle that could be longer than five years, and porting software to new architectures can be complicated and expensive, McGregor said. Companies like Microsoft have pulled software support for Itanium, but HPE is offering tools for an easier transition from Unix systems to x86 hardware.